We have lots of bee disease in Australia and one that is becoming quite common is AFB. Having had to kill hives because of AFB we are really aware of it, and in our beekeeping operation of only 100 hives or so, are able to run very good isolation of hive material. AFB is a spore-based bacteria. The spores can live for 30 or more years and are very difficult to kill, which means that if you detect an infected hive, the only way to guarantee the AFB is gone is to kill the bees and then burn the hive and hive material or gamma irradiate it. The spores are easily spread from hive to hive if you feed honey back to your bees (illegal in Australia) or put stickies back on a hive that came from a different one, so a barrier system that isolates hive material to a single hive is the best way to keep it out of your hives. With barrier control, if you’re unlucky enough to have a hive that is affected at least the spores will not have been spread to other hives. We do this every six months; it shouldn’t be necessary to do it any more often than that. The good news is so far no disease and a great variability of our hives in relation to swarming. 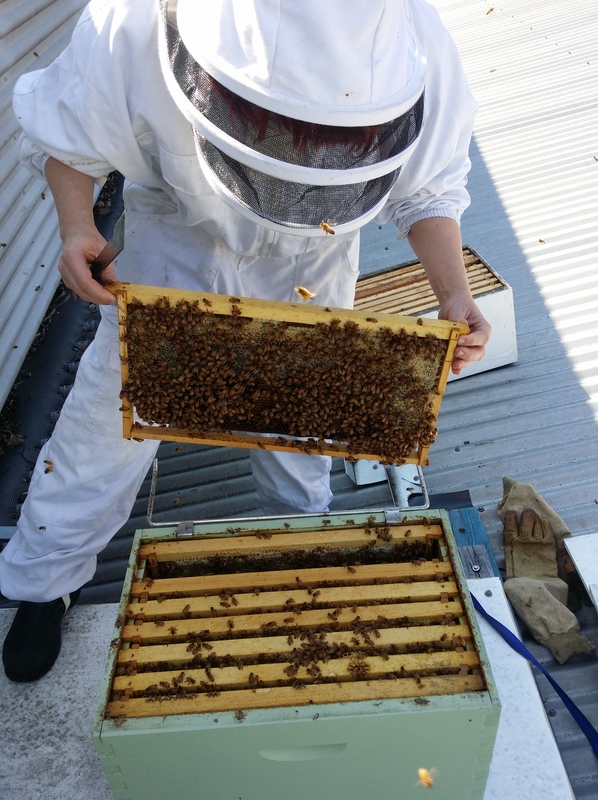 We have found that many hives in the CBD are pretty much drone free which is a pretty good indicator of swarm preparedness, in contrast to the hives in Bondi which were packed with drones.